"Auspuffsystem Cat Back 2008-12 Challenger SRT8"
Intermediate Pipe Diameter (in): 3.000 in. Notes: Kit includes Tru-X muffler assembly. 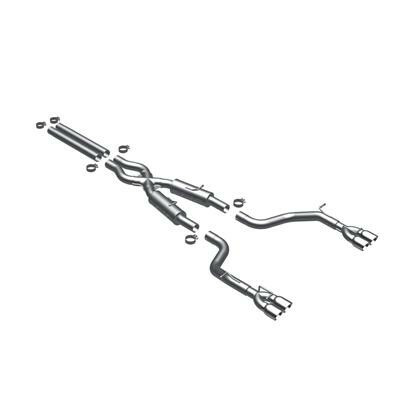 These MagnaFlow performance exhaust systems are as rugged and reliable as the vehicle that you drive. These exhaust kits feature OEM-style barbed hangers for easy installation, mandrel bends to prevent exhaust flow restrictions, and MagnaFlow's legendary straight-through, wide-open, stainless steel muffler to provide a smooth, deep tone outside of the vehicle. 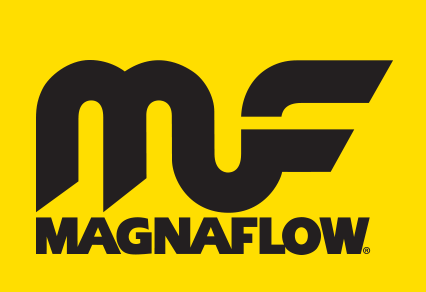 All MagnaFlow exhaust systems are factory-checked for proper fitment and dyno-tested to verify performance gains. These kits include all necessary installation hardware and some include a polished stainless steel exhaust tip. BOLT DOWN TEE 3/8-24 X 3/16 I.F.